This past weekend I attended the Baltimore City Fruit Tree Partnership Program as a vendor. It is a really neat program that gives a free fruit tree away to anyone in the city who wants one. All the patrons had to do was show up on the day they were giving the trees away and receive their free tree. They also had a lot of vendors and other tables set up to provide a lot of information to the guests. The event was also sponsored by the Baltimore City Orchard Project. The tree giveaway is held one day in the spring and one day in the fall. The fall event that I attended this year was held at the conservatory in Druid Hill Park in downtown Baltimore City. It was held on Saturday November 5th, which turned out to be a beautiful sunny day. In the morning it was in the thirties when we were setting up. But by teardown time, it was in the mid-70s and I left with a sun burn. The trees were in the back of a truck. They had Pawpaw trees, Persimmon trees and Fig trees that they were giving away. The patrons went to a tent in the front of the truck and registered, then they went behind the tent to the truck and picked out their tree. That’s all there was to it. They had several different workshops that were running throughout the day. They had a seminar on how to start a community orchard, how to prune and train fruit trees, and how to winterize the fig trees. There was also a workshop on companion planting and a tropical fruit tour in the conservatory. Some of the vendors included Baltimore Tree Farm, Blue Water Baltimore Project, Mill Stone Cellars, and of course Great Escape Farms. There was also a vendor that was making food in a wok, but I never did catch the name of his business. One vendor made some fresh pressed cider and another vendor was giving tastings of hard ciders. This was the debut of Great Escape Farms as a vendor at any event. We have been selling online for almost a year now, but this was the first time at an affair with face to face contact. It was an awesome experience. I only sold a couple of dozen plants, but did get almost two dozen people to sign up for our newsletter. It was awesome meeting people face to face and chatting with them. 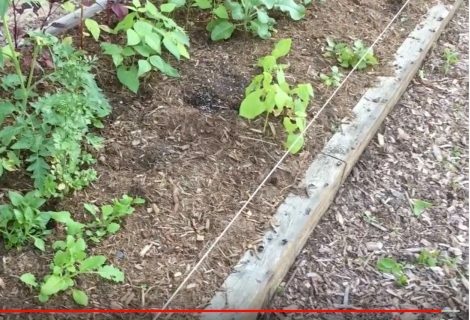 Check out the video below titled Baltimore City Fruit Tree Partnership Program. Thanks for visiting the Baltimore City Fruit Tree Partnership Program post. Please give us your feedback on Baltimore City Fruit Tree Partnership Program by commenting below.